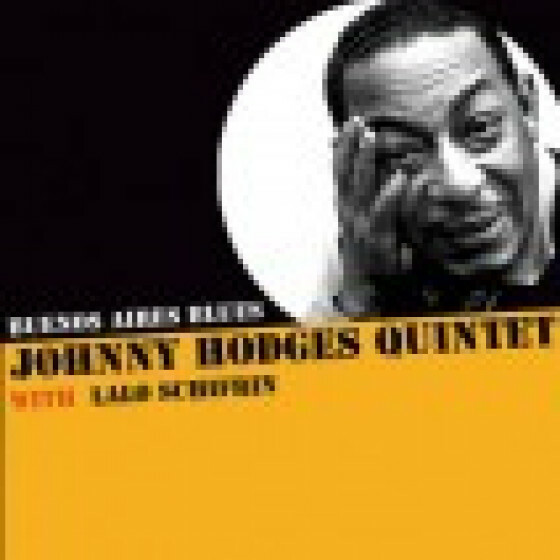 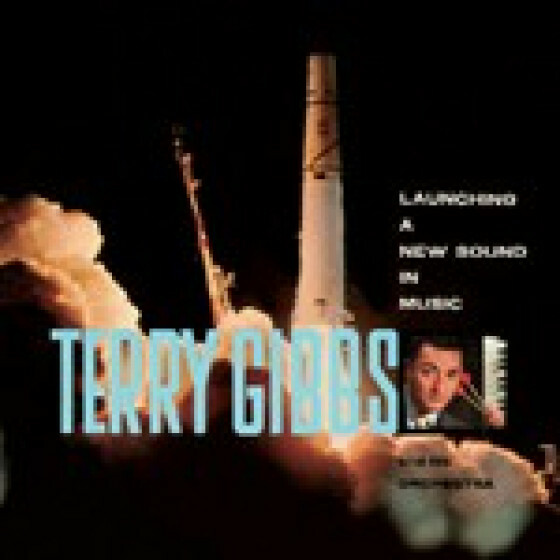 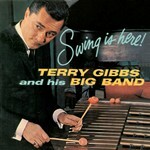 All the vitality and sparkle of the Terry Gibbs Dream Band is infectiously conjured up here. 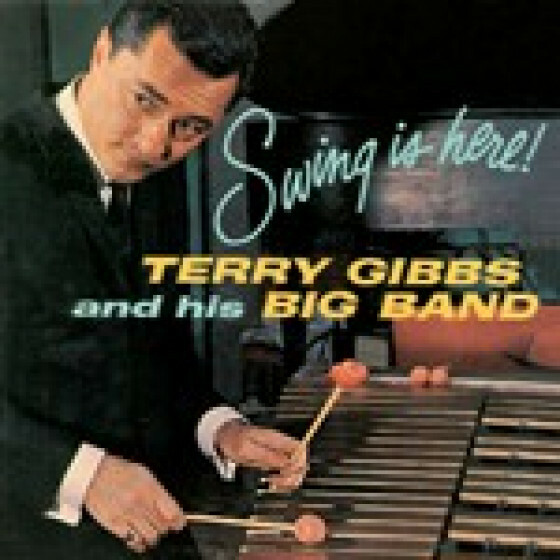 Spirit is the key word: it is certain that the essence of jazz captured in Gibbs albumsLaunching a New Band, and Swing Is Here!has everything to do with the jazz nature of the musicians involved, and their unwavering loyalty to the idea of this big band, with Gibbs, the focal point, bringing all his musical effervescence to bear on these exciting performances. 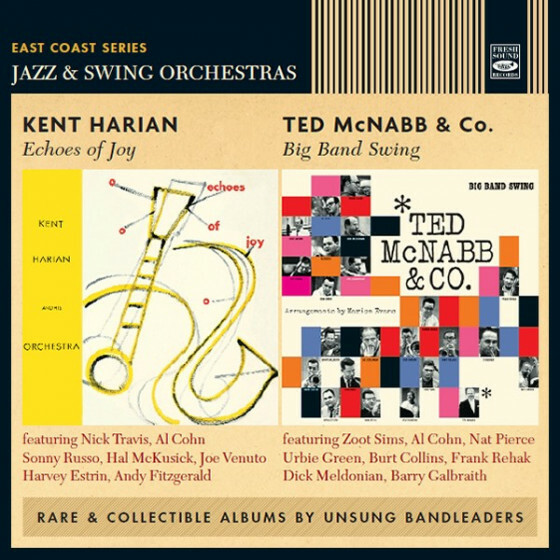 The penchant for Woody Hermans groove is apparent, and traces of Basie crop up from time to time in the clean, precise and powerful treatment of deftly written charts played with the emphasis on heat and swing. And they remain equally rewarding on all levels. "Launching a New Sound in Music"
Conte Candoli, Al Porcino, Stu Williamson, Ray Triscari, Phil Gilbert, John Audino (tp), Frank Rosolino, Vern Friley, Tommy Shepard, Bob Pring (tb), Bob Enevoldsen (v-tb), Joe Maini, Med Flory, Bill Holman, Bill Perkins, Jack Schwartz (reeds), Terry Gibbs (vib, p on #1), Pete Jolly, Lou Levy (p), Max Bennett, Joe Mondragon, Buddy Clark (b), and Mel Lewis (d). 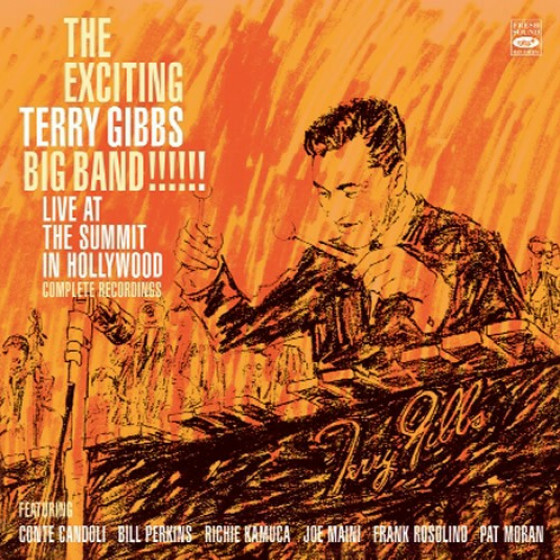 All tracks recorded at Radio Recorders, Hollywood, February 17 & 18, 1959 (#1-12) and February 23 & 24, 1960 (#13-22). 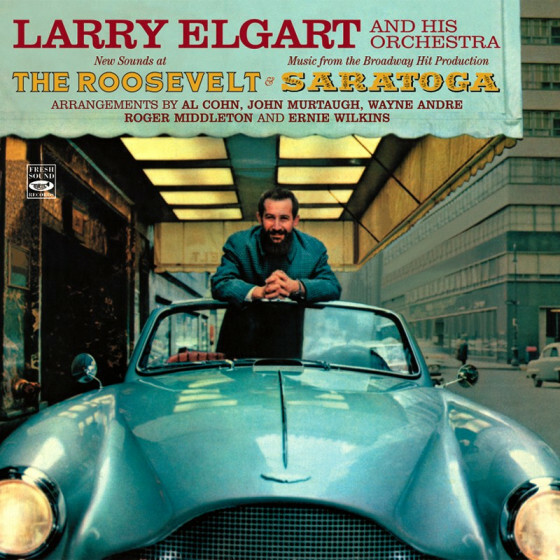 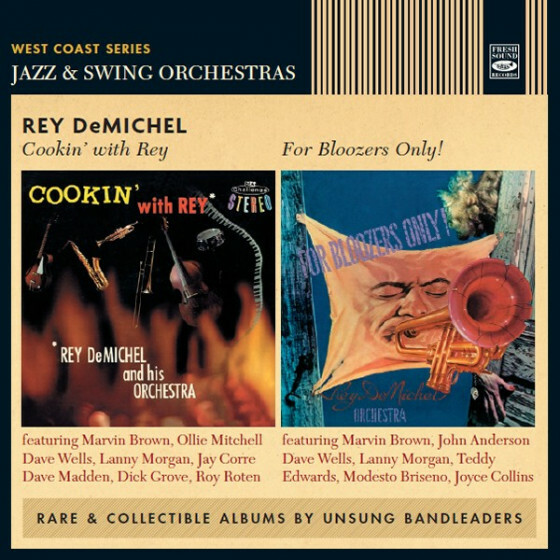 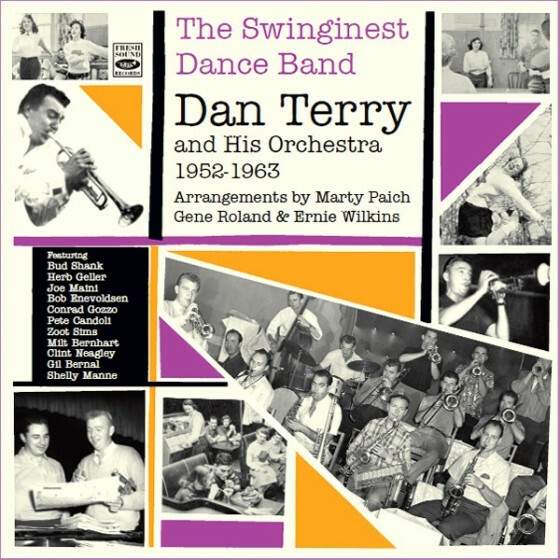 "The title Swing Is Here would have been more appropriate for the 1930s instead of 1960 when this album was originally issued, and the big-band era had long since waned. 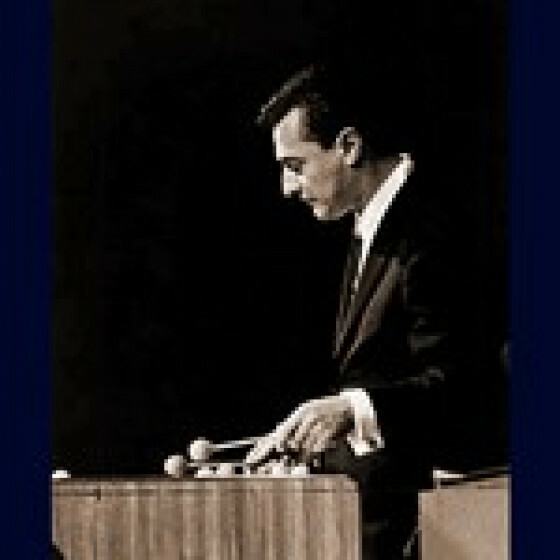 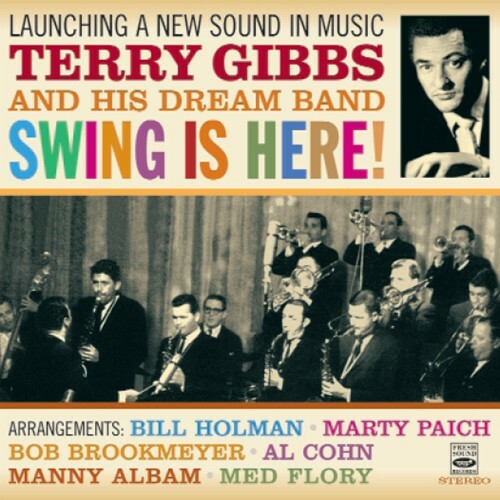 Yet vibraphonist Terry Gibbs kept the home fires burning out in California with this exceptional orchestra of cool jazz giants playing a stack of standards and modern compositions by Bill Holman or Gibbs, and one look back with an Artie Shaw number. 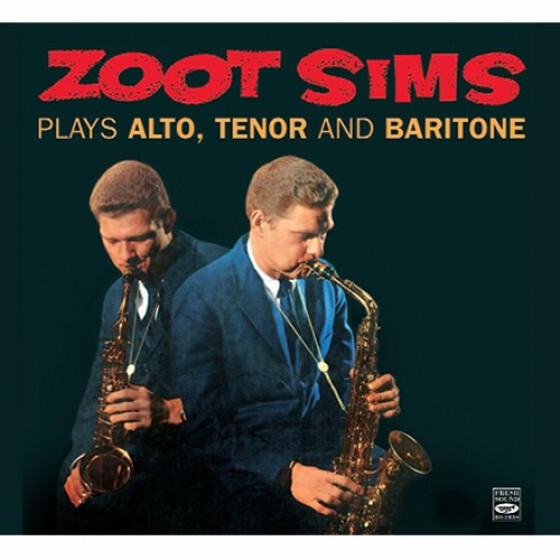 What is most interesting about these arrangements is that they are always different in emphasizing the fleet, dampened sound of Gibbs in contrast, apart from, or in tandem with the woodwinds and brass instruments. 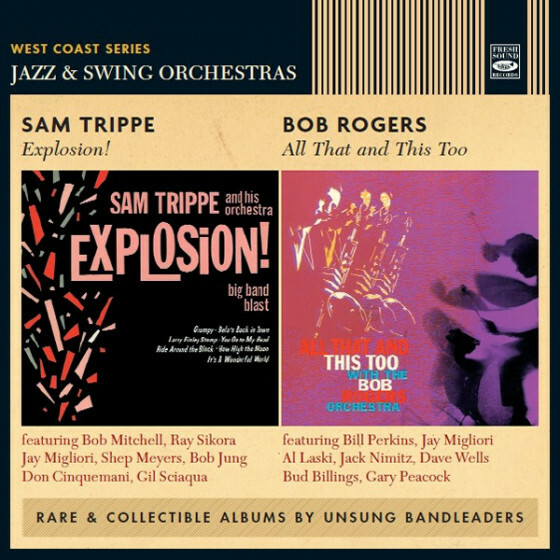 They also never get in each other's way, making for some delightful tonic music-making that reflects both the dance tradition and more modernized precepts of big-band music. 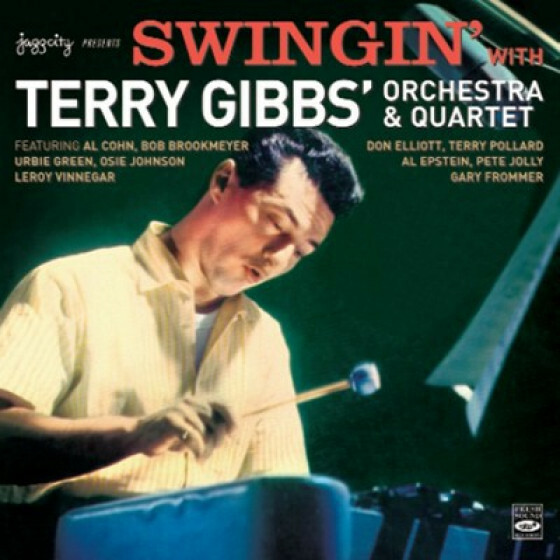 Reflecting the style of the Count Basie band with a big helping of Woody Herman or Stan Kenton, the band leaps into "The Song Is You" as Gibbs plays the first melody line, then the band takes over, while the opposite ploy is utilized during "Dancing in the Dark." 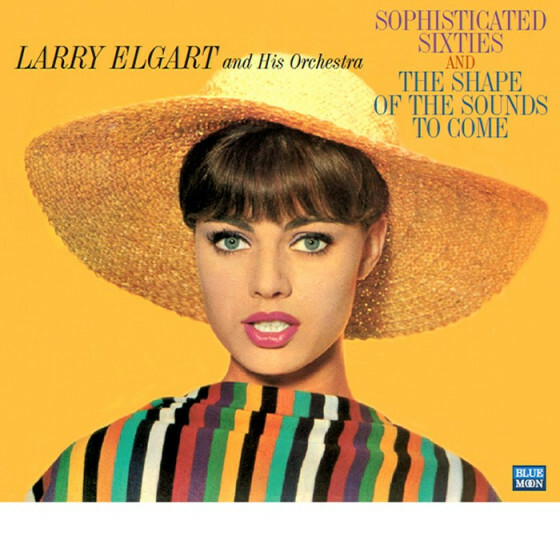 Holman's originals "Bright Eyes" and "Evil Eyes" are different from the rest and each other, the former a lively bop chart with jumping counterpoint saxes and brass, the latter led out by pianist Lou Levy and the horns, with Gibbs holding up the rear guard of the band. 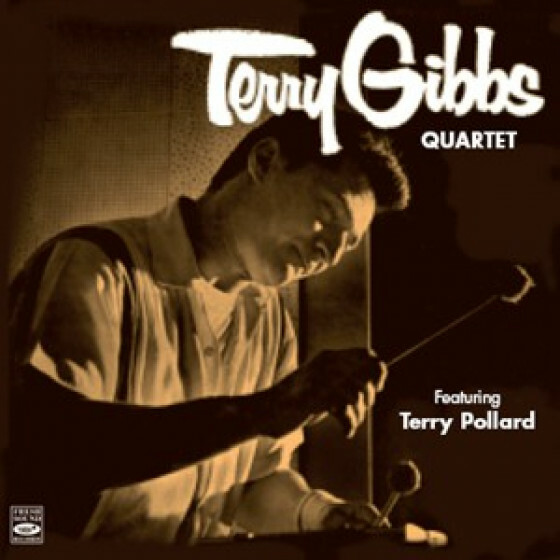 A 12-bar blues, "The Fat Man" has, over time, become a favorite Gibbs composition covered repeatedly by his bands, and here is the original recording. 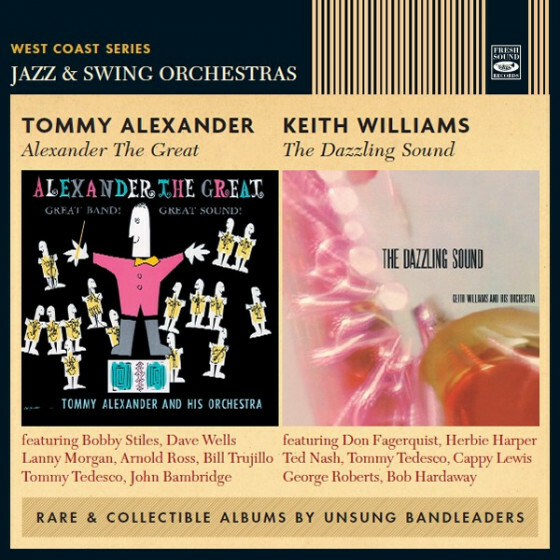 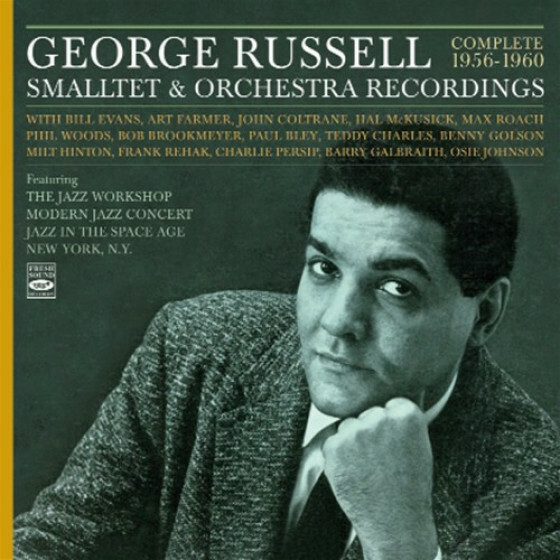 "It Might as Well Be Swing" is a cleverly modified title from the standard "It Might as Well Be Spring" but is closer to Duke Ellington's "Satin Doll" in its elegant, sophisticated imagery. 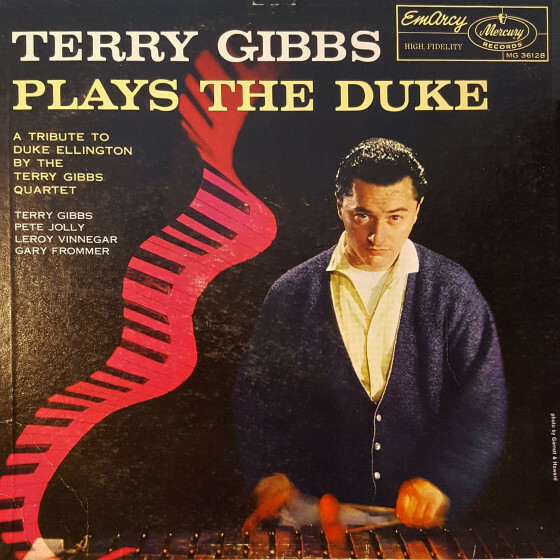 Claude Debussy's "My Reverie," on the other hand, dismisses its composers early morning visage for a classic jazz sound that is truly the epitome signature style Gibbs portrays. 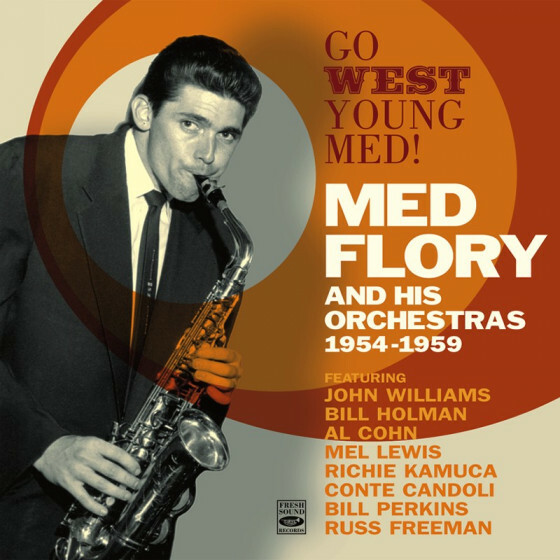 The Artie Shaw tribute to Boston "Back Bay Shuffle" has drummer Mel Lewis codifying and extending Gene Krupa's bompity bomp rhythmic dance remarks in a danceable yet enlivened manner. 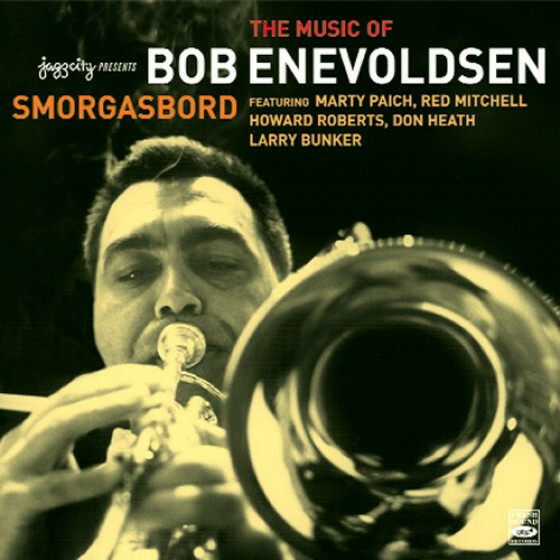 There are some extraordinary musicians in the band, such as trumpeter and ostensible leader Al Porcino, "second" trumpeters Conte Candoli and Stu Williamson, trombonist Frank Rosolino (listed third on the depth chart), lead alto saxophonist Joe Maini, and Bill Perkins, and Med Flory on tenor saxes. 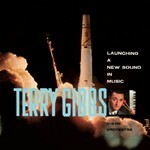 Gibbs plays a lot on this album, a testament to his tenacity as a unique voice on his instrument, and a good example of how this well-defined music refused to die even though it fell out of favor due to sheer economics."